Yesterday I had a snow day. Okay, not really a snow day but a day off work thanks to the computer program I use for my research being out of commission. I wish I could say I spent the time wisely and got some other work finished, or that I did something new and exciting with my Tuesday freedom. Instead I caught up with some of my favorite blogs, watched Buffy the Vampire Slayer (oh yes I am reliving the late 90s! ), gave myself a mani and pedi, went to yoga, made a simple toe ring and ate Nutella by the spoonful. It was a great day but by the end of it I wondered what was wrong with me. I have so much to do. So much to focus on. Instead of focusing and being productive I panicked and went into relax mode. Now I will spend the rest of this week playing catchup. Typical. One good thing I did yesterday was make my favorite corn recipe. It’s my favorite because it packs so much flavor and takes corn to a whole new level. I think it’s D-Money’s favorite way to eat corn as well. 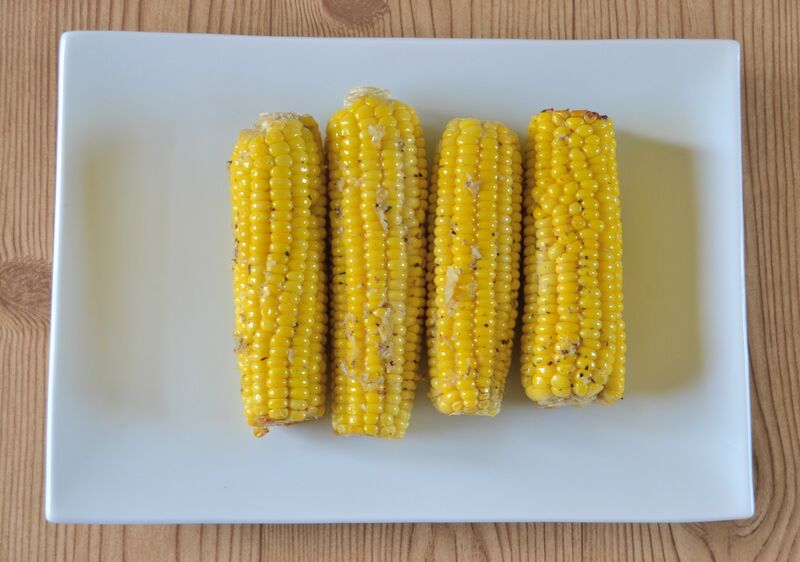 Thanks to this corn recipe, buying canned or frozen is just not an option. Plus it’s super easy to make. 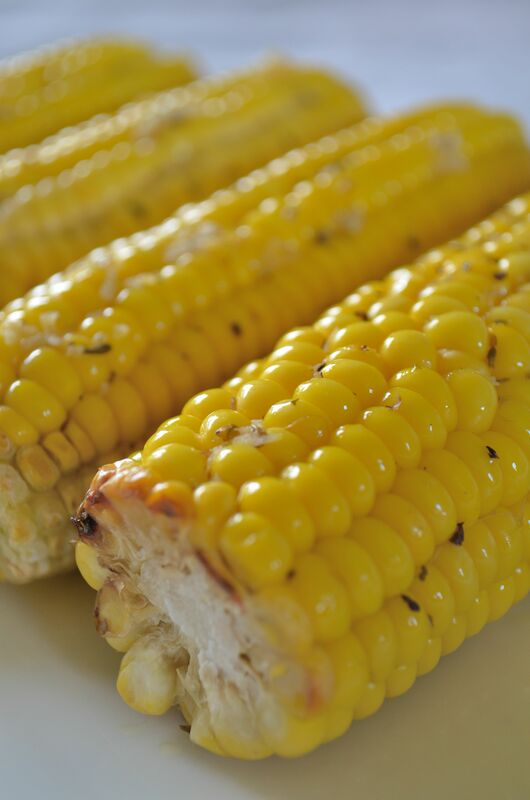 You can grill or bake this corn recipe. For baking and grilling, cut a large piece of aluminum foil that can hold all four corn on the cobs. On the foil, using a butter knife, spread the cold butter on the corn as evenly as possible. Rub in the garlic, salt, pepper and the oregano or parsley. Fold the foil in a way where it looks like a package, covering all four corns. Use more foil if needed. The packaging of foil will serve as a catcher for all of the yummy seasonings. For baking, place the corn package in a preheated oven of 450 degrees and bake for 20-30 minutes, turning half way through. 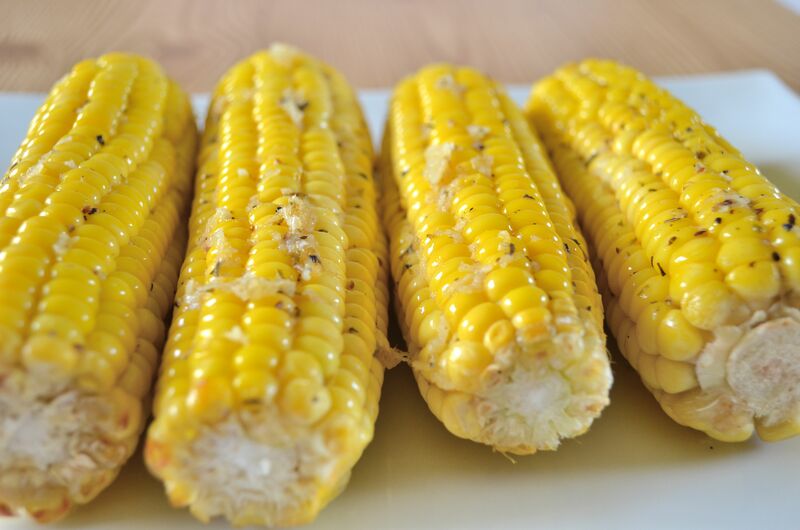 For grilling, place the corn package over a medium heated grill and cook for 15-20 minutes turning half way through. You know your corn is finished when its a beautiful shade of gold and has some slightly crispy kernels. The garlic makes the corn a little sticky and the foil approach of grilling or baking really bring out the natural sweetness of the corn. Serve warm, and enjoy.